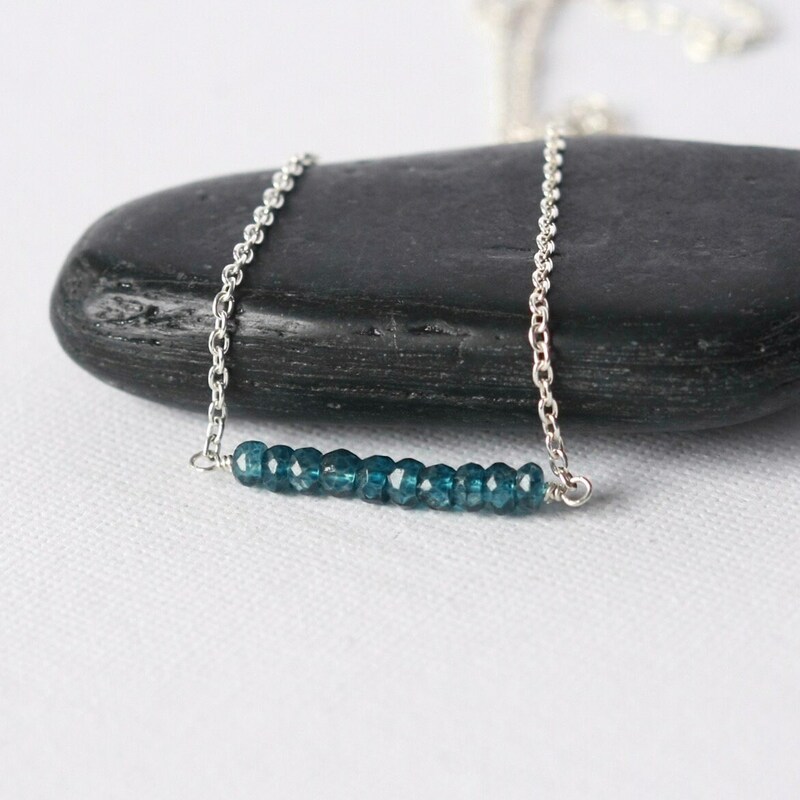 I love the deep rich blue of London Blue Topaz ...it looks so luxurious! 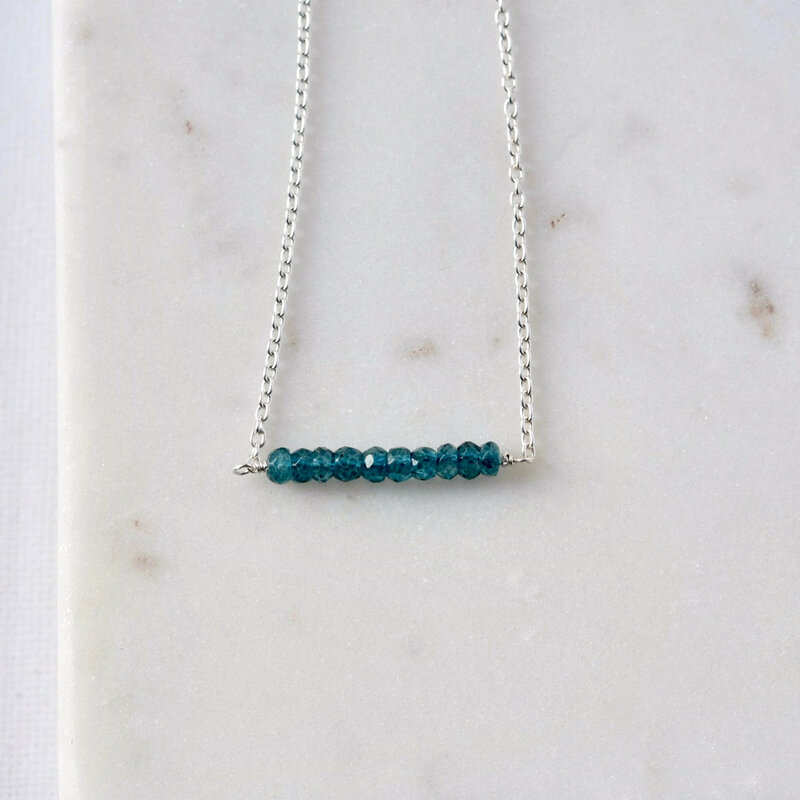 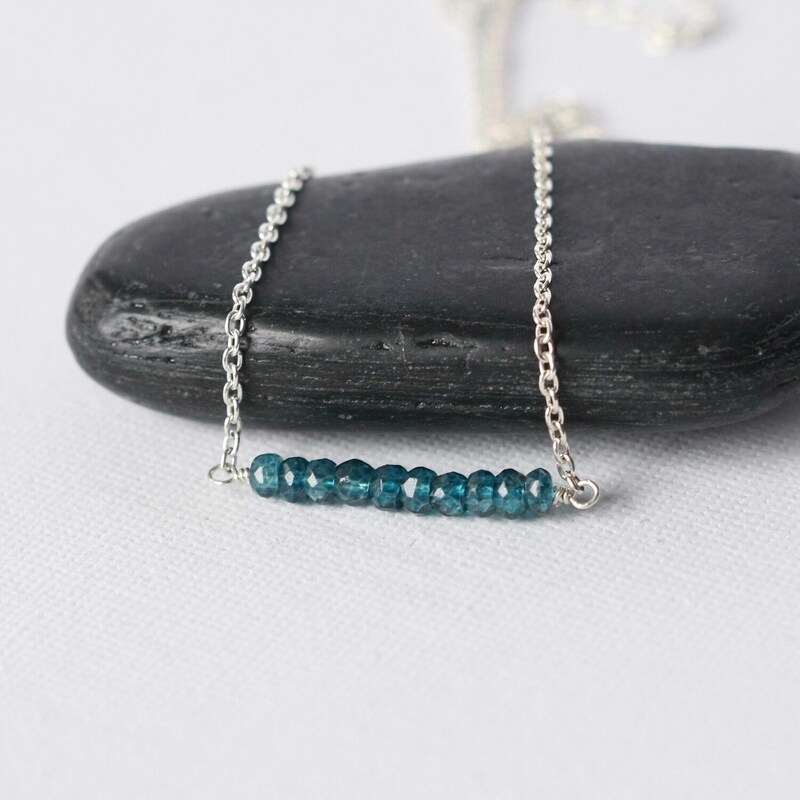 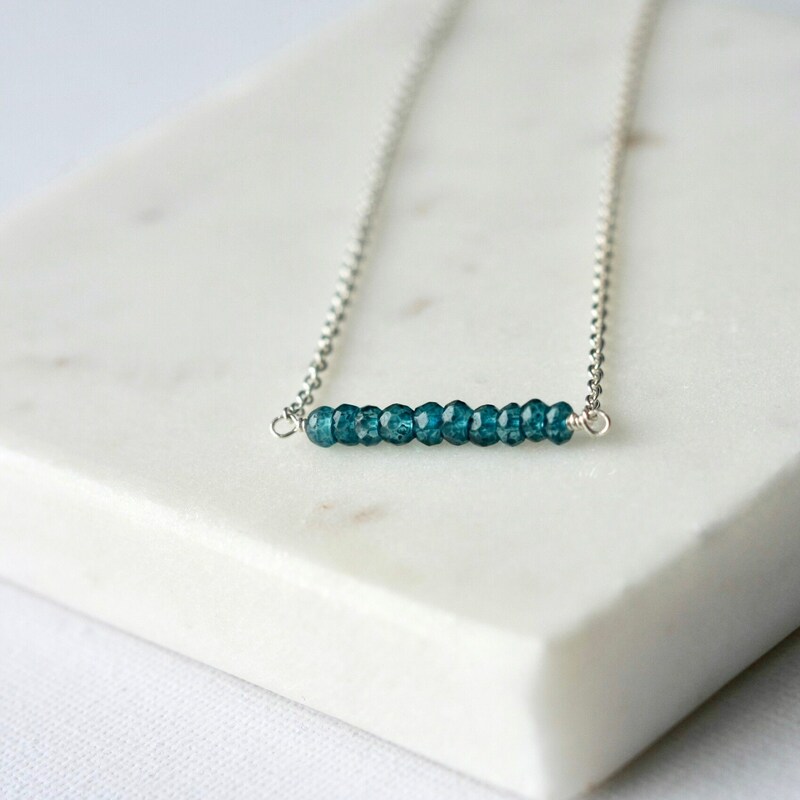 This minimalist gemstone bar necklace features a row of AAA London Blue Topaz - the rondelles are about 4mm wide and are faceted for lots of gorgeous sparkle. 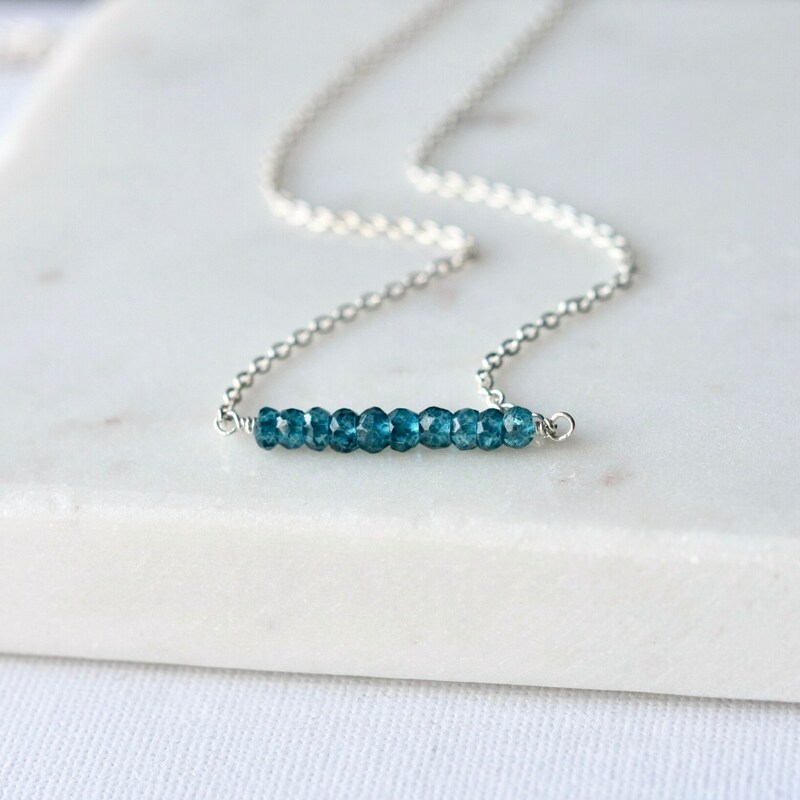 The row of beads measures 23mm wide and they are wire wrapped in sterling silver wire on to sterling silver cable chain. 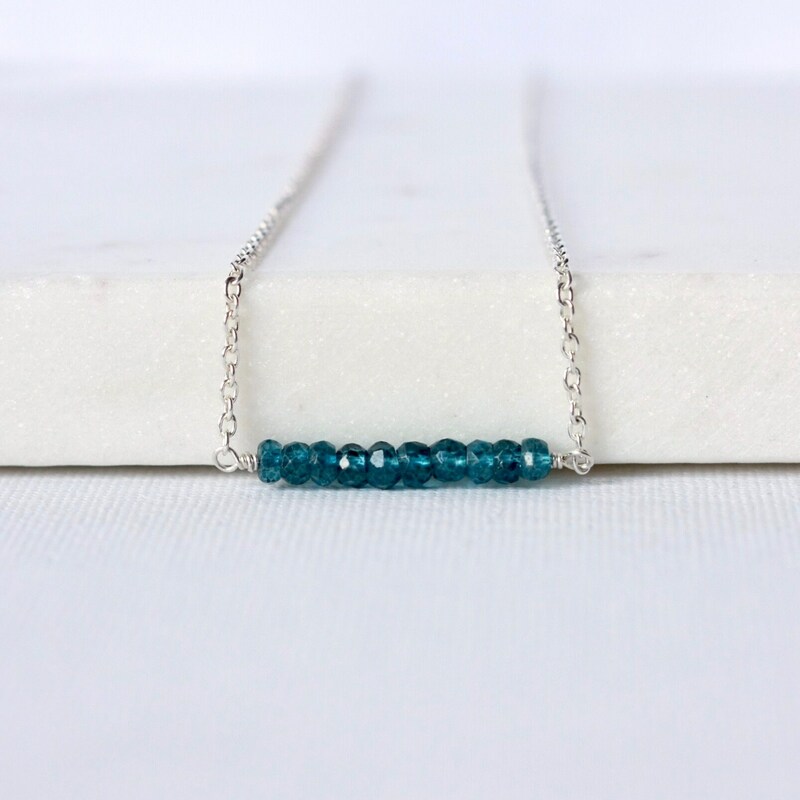 The sleek simple design works well with casual and dressy looks and the dreamy shade of blue gives it a nice pop of color. 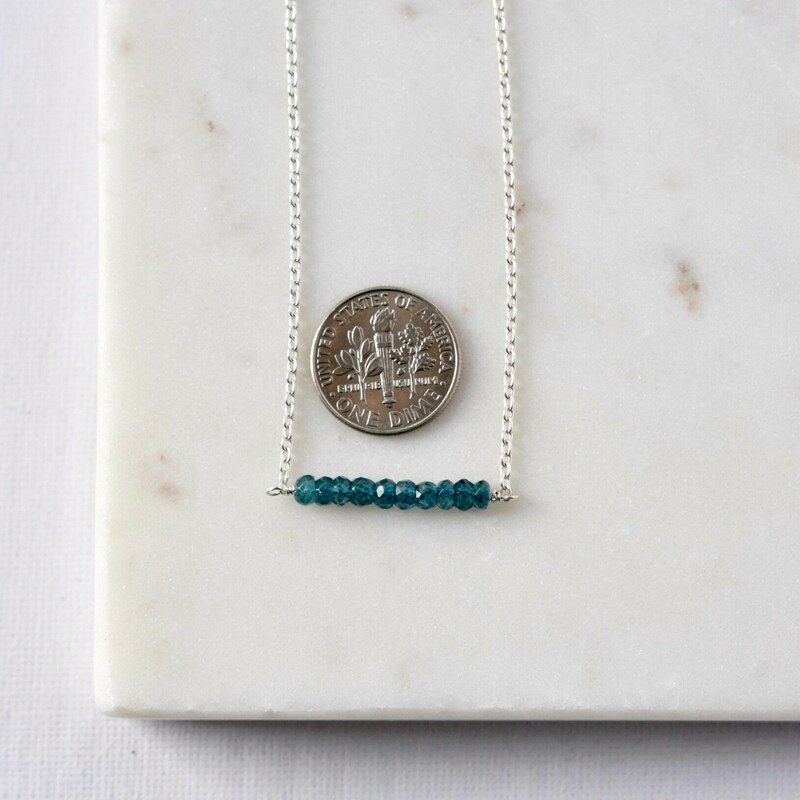 The necklace is fastened with a sterling silver lobster clasp and you can choose your desired length from the drop-down menu above.